With company members flying in from every capital city in Australia we finally came together in Nhulunbuy, North East Arnhem Land, Northern Territory. Nhulunbuy is a working town supporting the Rio Tinto Alcan Gove Alumina Refinery and mining operation and is set on the Gove Peninsula, right on the Arafura Sea. This is the land of the Yolngu people. 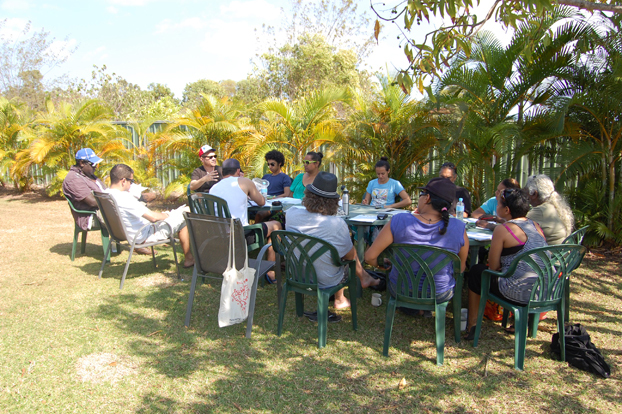 We spent a week in Nhulunbuy engaging in script and cultural workshops. It was exciting to hear the script read aloud for the very first time on the land which had inspired this story. The company explored the complex moiety and kinship system of the Yolngu people. At the centre of Bloodlandis a tale of forbidden love. Our cast of 12 is split into 2 family goups (moieties): Dhuwa and Yirritja. 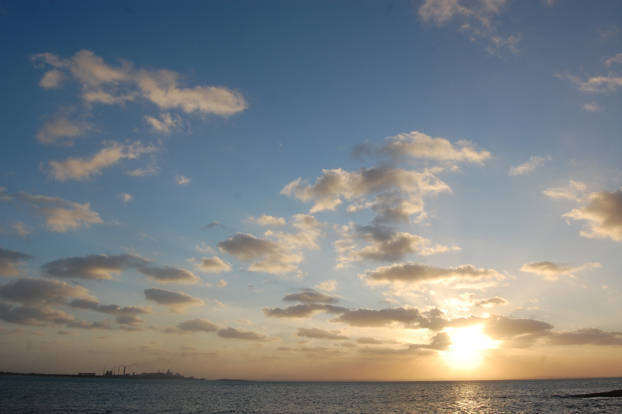 Everyone and every useful thing - lands, songs, animals, plants, totems, waters, ceremonies - is either Dhuwa or Yirritja. Dhuwa must marry Yirritja, and Yirritja must marry Dhuwa. Everyone is the same moiety and the same group as their father and as their land, language and totems. So everyone has a mother who is from another group, and another moiety. This relation between the mother and child is called yothu-yindi, and can be found everywhere in the world, not only between people, but between groups of people, and pieces of land and totems. 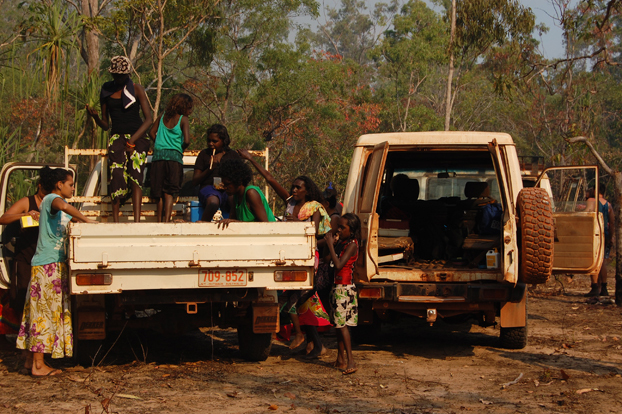 There are many outlying Aboriginal homeland communities in North East Arnhem. 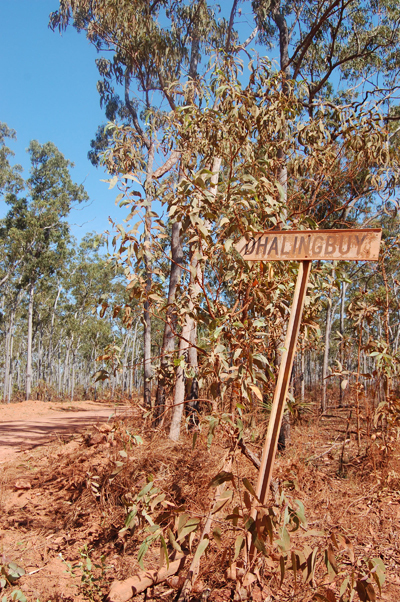 One of these is Dhalingbuy community, located about a 3 hour drive from Nhulunbuy, down a long, dusty, bumpy red dirt road (see the first photo). This small community is home to cast member and cultural consultant Djakapurra Munyarryun. We were warmly welcomed to the community before heading out to surrounding bushland. 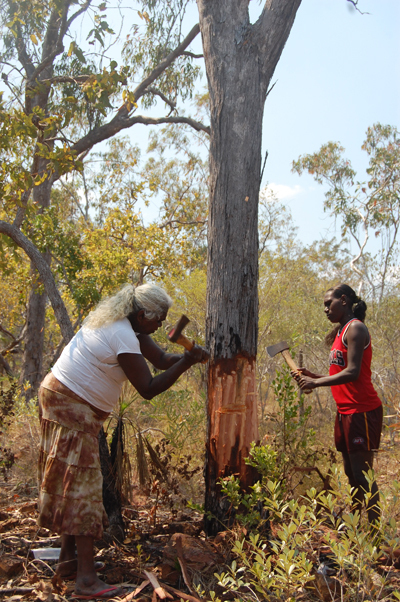 During this trip the men hunted kangaroo and the women collected a honey tree. These activities will occur onstage during the show so it was a chance for the cast members to experience it first hand and for the production team to document it all so we can re-create the experience in the Wharf 1 Theatre. We spent the afternoon at a local waterhole (first checking it was croc free!) listening to the land and each other. Lots of kids from the community accompanies us on this excursion, their laughter and bubbling language was infectious and lots of new friendships were made. 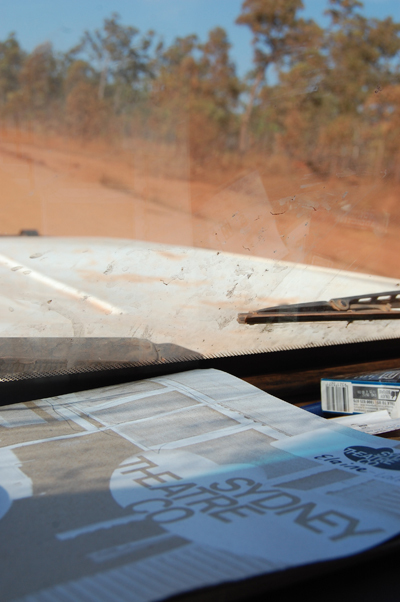 During the week we spent time in Yirrkala, a larger Yolngu community 15km from Nhulunbuy. Yirrkala is home to the world renowned Buku-Larrnggay Mulka Art Centre and Museum in Yirrkala, which also houses a museum and a multi media centre. The company viewed many traditional depictions of the two moieties and watch archival footage of contemporary and traditional indigenous dance and song. 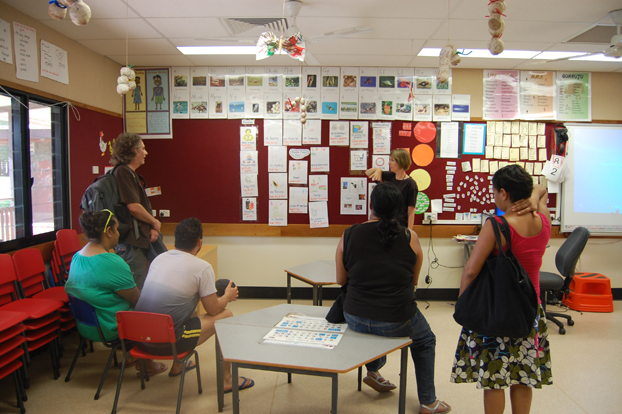 We also visited the Yirrkala Community School (see the third photo). The company visited the literary resource centre and heard about bilingual teaching and learning. We visited Beach Camp where local residents helped the men to collect Gapan from the cliffs. Gapan is the white body paint used in traditional dance. It is collected in solid form, crushed, mixed with water and then applied by hand to the body. It was a busy and productive week but we still made time for a sunset fishing trip, although we didn't catch anything big enough to keep! Each production at the STC begins with a theatre tradition: the meet and greet session. This is often the first time all members of the creative team and company come together. For Bloodlandthis was an historic occasion. Over 60 people came together to celebrate this unique collaboration between two companies based at The Wharf: STC and Bangarra. Andrew Upton and Stephen Page addressed the crowd, both speaking passionately about the project, its genesis and reasoning. Our creative team Damien Cooper (Lighting), Jennifer Irwin (Costume) and Peter England (Set) presented their designs, model box and sketches. Over damper and tea we settled into our creative home for the next 3 months. Bloodland,Wharf 1 Theatre, 3 October - 13 November, 2011.